Yesterday we were back at the Brevard County Farmer's Market. Between trips and other events we have not been able to be at the market every first Thursday of the month. But we are back, and even if it is not on the first Thursday, we will be going to bring information and reusable items. This week we gave away plastic containers to the Green Flamingo Organics and egg cartons to Funky Chicken Farm. We also talked to some folks who had questions on recycling. Some even took the county's literature home to review. The Recyclopedia was welcome by them. It was good to be back at the market. In June we should be able to be back there on the third Thursday. We will create an event on Facebook to confirm. Tomorrow we will be at the Suntree Outdoor Marketplace (which is now indoors) from 9am to probably 12pm. If you have a chance, stop by to say hi! Today we took our program to Coral Reef Academy in Palm Bay. We ran the program for 21 four and five year old children who enthusiastically participated in the presentation. It was a big group but we were able to get them involved and excited about reusing and recycling. The story we read captivated them, but singing "we will recycle!" was the highlight. They carried on singing even after we were done with the activity -- and that is great! We hope they take that enthusiasm home and help their families to get more into reusing and recycling. Our first program was as Mustard Seed Kidz Preschool. My daughter (and assistant) and I worked with a group of 14 adorable four-year-olds who were attentively listening while we talked about materials that can be reused and recycled in our county. They were eager to participate and all raised their hands when it was time to place an item on the recycle board. During story time they listened, and answered and asked questions. The song at the end -- we will recycle! -- was a hit among the little ones in that group. That should help them remember what they should do with paper, glass, cardboard, metal, and plastic bottles. "Don’t Throw That Away!" as the book we read goes. We developed a special program for schools (pre-kindergarten through third grade) to bring information on recycling to young children in a fun, hands-on way. The program -- called "We will Recycle!" -- includes reading a story, doing an activity together, and making a badge. We have presented part of this program at the Autism Awareness Festival 2012 on April 29, 2012. Today we will be visiting our first preschool, Mustard Seed Kidz, to do the full program with them. My daughter will be assisting me and helping the children with the activities. I am very excited about this and hope other schools will show interest in the program too. Children of this age are naturally curious, inquisitive, and interested in learning everything about the world. They are the best partners we could ask for to eliminate bad habits and make changes toward a more sustainable community. We are doing this on a volunteer basis and would like to visit more schools. We would love to come to your school if you have the time and are interested in covering the topic with your students. 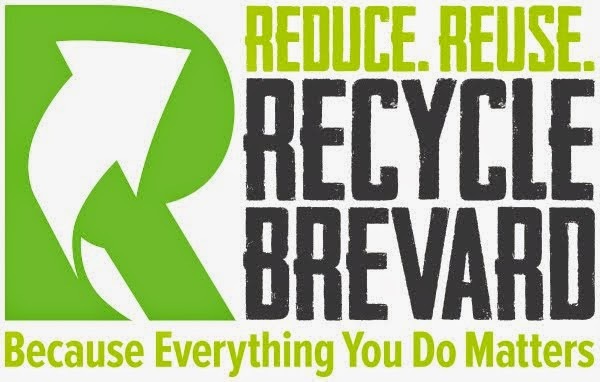 To learn more, please contact us at info@RecycleBrevard.org. Feel free to pass on this information to anyone you think might be interested.